﻿ Elites&Meats: Steaks, Burgers, Smoked Briskets, Aged Prime Ribs and Jerky Meats. Steaks, Burgers, Smoked Briskets, Aged Prime Ribs and Jerky Meats. 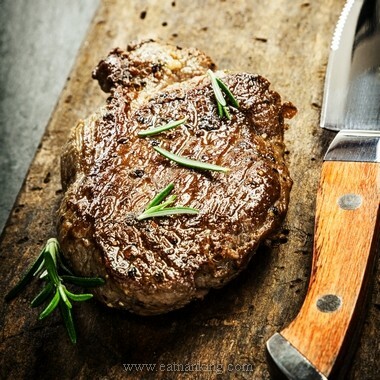 Steaks are favorite food for most gastronomes. The right steak doesn't need exotic spices, innovative grills, and obstructive advertisement. All it needs is a highly-qualified chef, exceptional service, and a cozy atmosphere. Elites&Meats offers a clear and honest restaurant concept. We believe that a restaurant needs to be highly specialized in one gastronomic direction, develop and compete in this field and discover new approach in foods preparation, presentation, and serving. We offer a diversified steaks and meats menu, various refreshing drinks, an appropriate wine list and friendly service. Elites&Meats partners with the most reliable suppliers from Argentina, New Zealand, Australia, and Uruguay. Customers can always choose a steak from our meat board, presenting various steak types. Our waiters will provide a full consultation, answer all questions and recommend a steak according to a customer diet, age, preferences or a wine choice. Besides actual steaks, Elites&Meats offers cured meats, smoked briskets, aged prime ribs and jerky dishes, supplemented by mix&match sides. Tall grilled and juicy burgers are also available for our customers in any variation: spicy, mild, crispy, sweet and sour, tangy and rich. Elites&Meats serves all steak kinds: ribeye, club, T-bone, porterhouse, strip loin, sirloin, round rump, mignon, Chateaubriand, flatiron, flank, tornados, skirt. The sommelier service is also available at Elites&Meats every night. Our wine list is presented by Spanish, Italian, French, African and Australian winemakers.